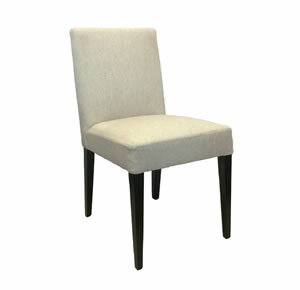 This simplistic dining chair effortlessly compliments any contemporary environment. With the low back it offers the modern touch without compromising the comfort. This chair is definitely for those who like to entertain. For added value the legs are in solid American Ash and can be colour matched to your existing or new table.